Art Matters: What's the Matter? I asked this question at the end of the last post. I’ve said the subject does not determine what the picture will be. I’ve said the subject dies as the picture is born. 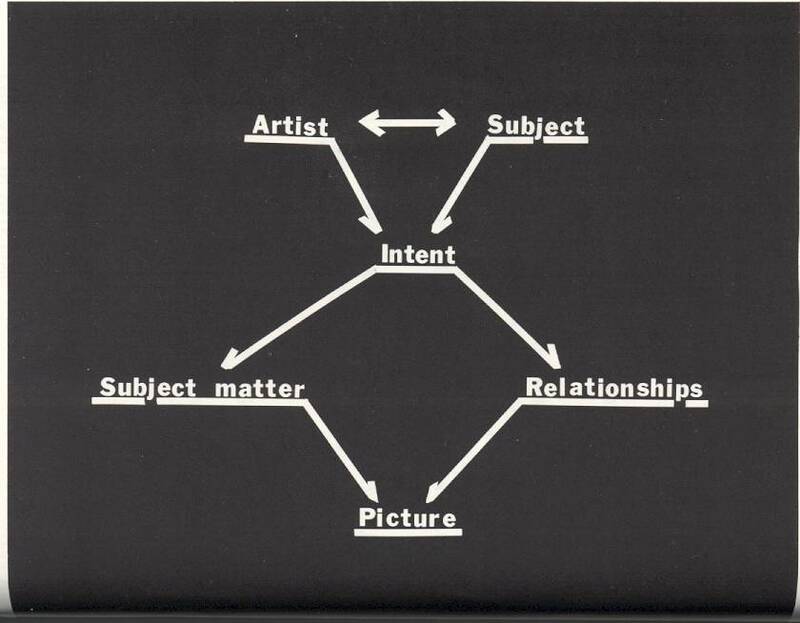 Subject matter, then, refers to the “new matter” every artist invents during the process of transforming a subject’s visual meaning into a picture. 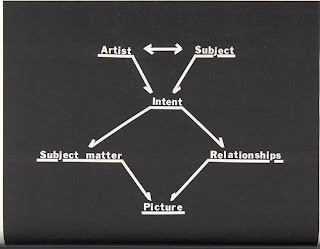 The diagram shows you an artist confronting a subject. The subject acts on the artist and the artist acts back on the subject. In other words, at the first interested look, the artist subjects the subject to an idea (the intent, the design, the purpose) and, at that moment, he transforms the “real” world into a CSI (a color scene investigation). 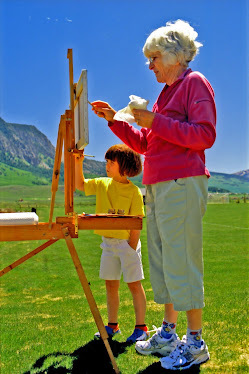 He invents subject matter, orchestrates relationships among his means (light, line, color, space), and paints the picture. To appreciate the work of art, we come into this equation at the end: at the picture. We study the picture, describe the relationships, see what new matter the artist created, and state the intent: the picture idea. When we reach that point, we understand the visual aesthetic experience the artist has recorded in the picture. We understand the picture. 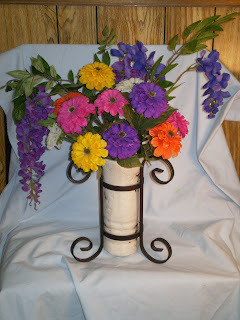 Here is a digital image of a subject I used: a vase of flowers. I realize I transformed the subject from our real world into a photograph, a medium of expression with its own characteristics—as much color on a flat surface as a painting, but with light as the dominant means. We will have to live with this. Look at both images for a few minutes. Then answer this question: what’s the new matter in the picture? 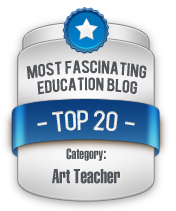 What matter did I invent based on the visual meaning I discovered as I explored this subject? 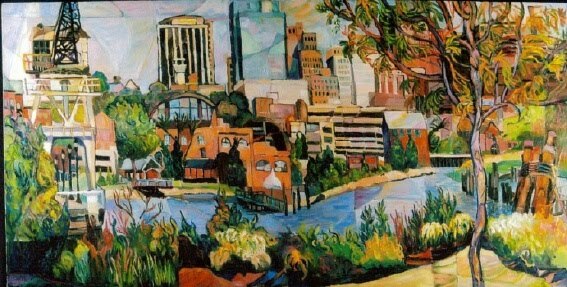 Or, more simply, how does my painting differ from the subject I used? 1. Color: the color in the painting is softer, more pastel-like, and chorded. 2. 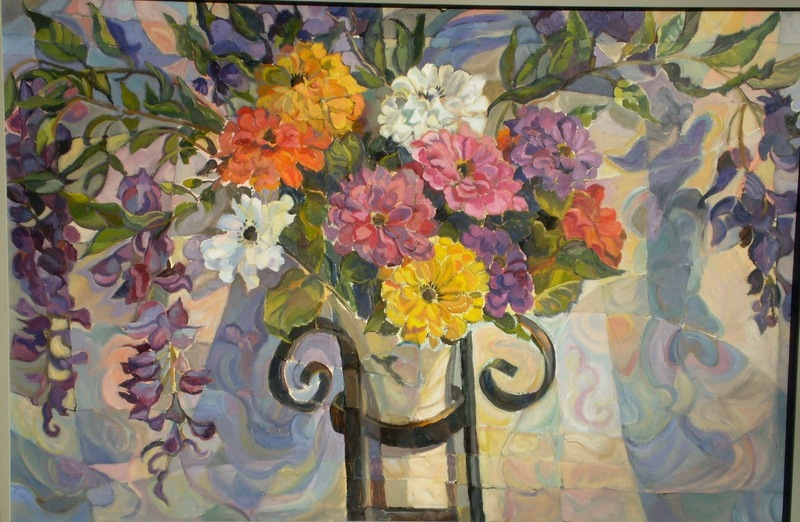 The space in the painting is shallow and the background unit acts as a projector, pushing the vase of flowers forward. 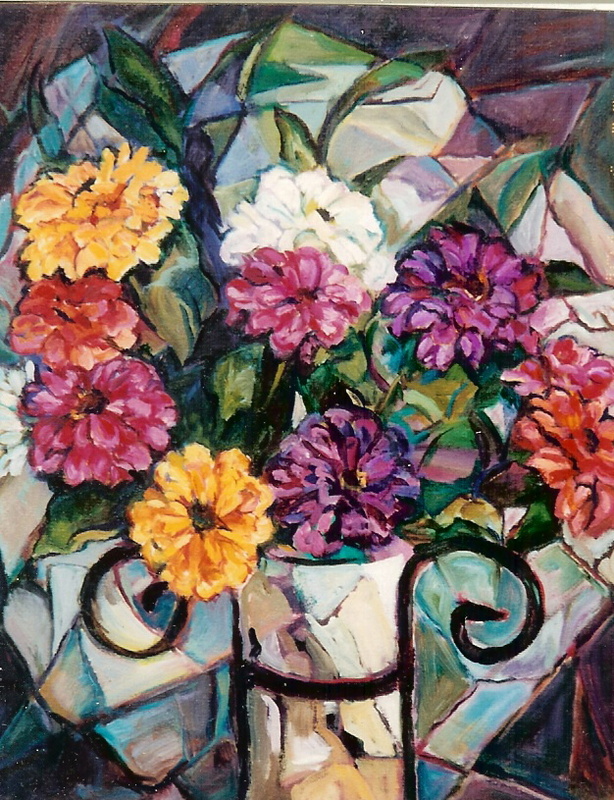 Subtle spatial recessions occur between flower petals and the vase’s decorative black container. The patterning and light areas in the background curve backwards and up, creating a push back and up of the space. 3. The light in the painting infuses the color with a subtle glow, moves the eye in and out and up and down in the shallow space. The color shapes quiver like aspen-tree leaves. 4. Line in the painting swirls, is patterned, separates petals from background, is color made (including white), and assists the vibration of the entire surface. 5. Composition: I cut off the tabletop, halved the vase, centered the main color units, and filled a horizontal format with curlicues and faceted triangular color units that shoot upwards and descend downwards while overlapping and sparkling into shudders of color. 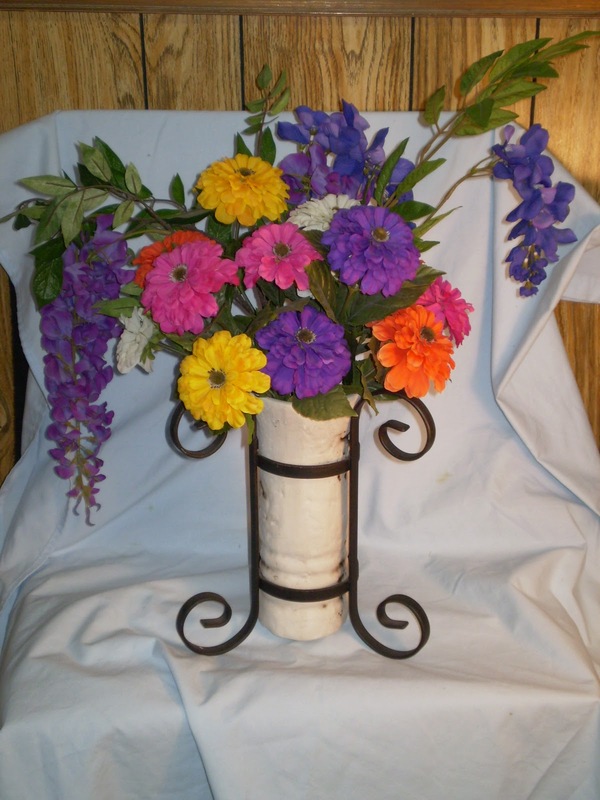 I transformed a simple vase of flowers into a dramatic, upward thrusting, bursting out, rush of multiple color units pulsing in and out and up and down in subtle variations of space. Like fireworks. In fact, I titled my painting Fireworks. Nothing in the original subject accounts for the decorative patterning I invented. I found those ideas in cubism, in Delaunay, in van Gogh, in Rousseau. I transferred visual ideas, in other words, from relevant traditions of art. Which brings me to another point: the idea that fueled my work attached qualities from fireworks to this very still vase of flowers. I saw into the subject and expressed: (1) upward burst of small color units; (2) dramatic and pulsing activity of small color units; (3) small, intricate, moving patterns of color. The qualities of things, situations, and experiences transfer from life to the picture via the subject. The subject acts like a catalyst, propelling an idea into an artist’s consciousness. 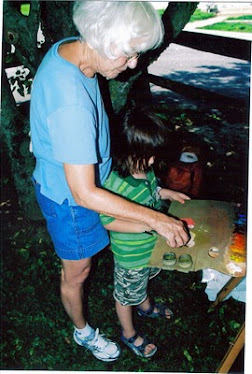 And that idea, informed by everything that artist has experienced, guides every brushstroke. Or, as Dewey has said: “the work is formed matter.” (Art as Experience, p. 114). Compare the next painting to Fireworks. Carolyn Wonderly, a friend and artist, used the same subject as I did. How does her picture differ from my picture? Why?